With rustic details and cut-out scrolls, this galvanized metal star dresses up your western wall. This rustic metal wall art measures 23 1/2"Dia. 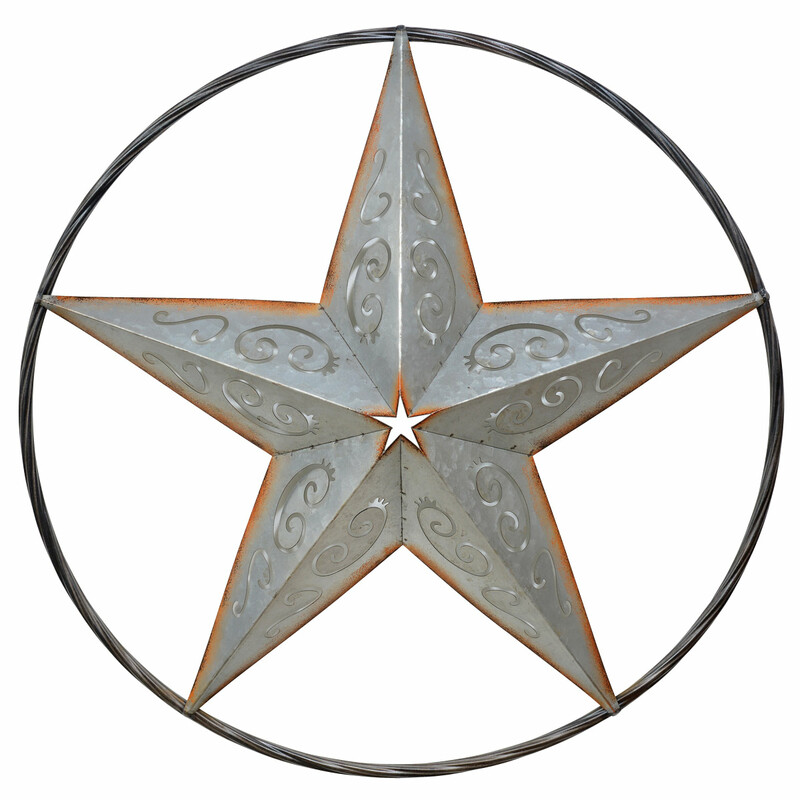 x 2 1/2"D. For further options, we encourage you to take the occasion to look at our thorough collection of rustic metal wall art at Lone Star Western Decor now.